How do I change the name of my computer in windows 7? Changing the name of your computer in Window 7 is quite straight forward. 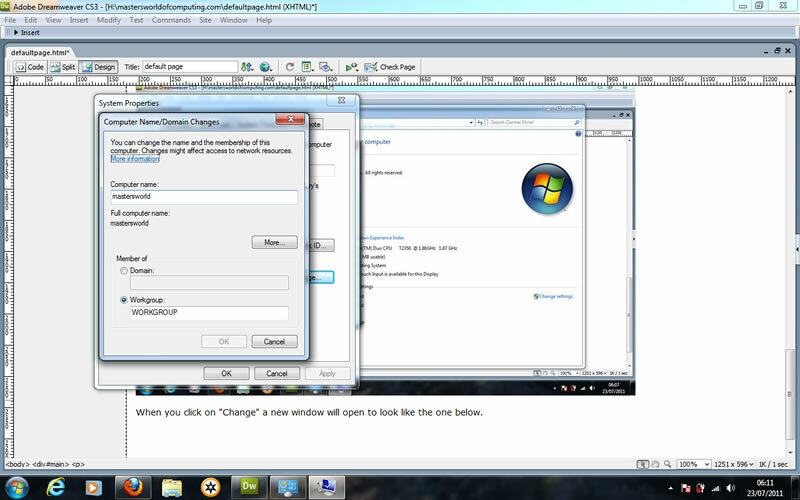 There is more than one way of doing this but I will be showing you how to do it by accessing the "Control Panel" I am showing you how to do it this way because knowing how to navigate your way around windows 7 control panel will make life easier later on. I tend to give my computers name to help identify them on my network. 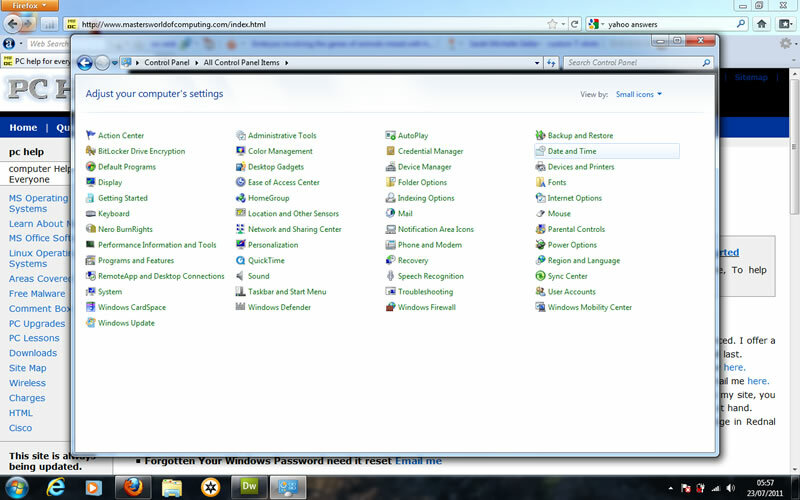 Open the "Control Panel" Click on "Start" then left cliick on "Contrl Panel" a window should open like the one below. As you can see this gives us lots of options but we are only interested in one of them that is "System" You need to left click on "System"
When you have left clicked on "System" a new window will open like the one below. Now look near the bottom right side of this window and you will see highlighted in blue the option to "Change settings" you need to left click on this. When you have left clicked on this with your mouse a new window will open like the one below. Look at the new window and you will see the option "To rename this computer or change its domain or workgroup click change" you need to left click on "Change"
When you click on "Change" a new window will open to look like the one below. 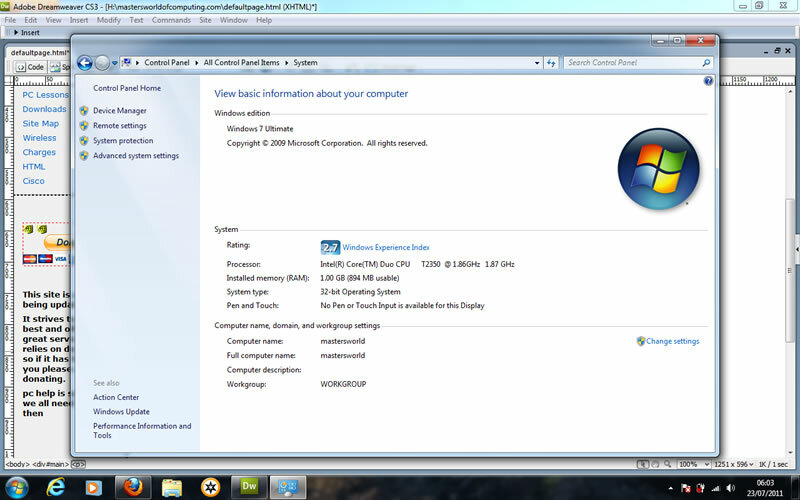 You can now see where it says "Computer name" so erase whatever is there and type in the name that you want to call your windows 7 computer. In this example I have named this one "mastersworld" Once you have finished naming your windows 7 computer you need to click on "OK" to close the open window. 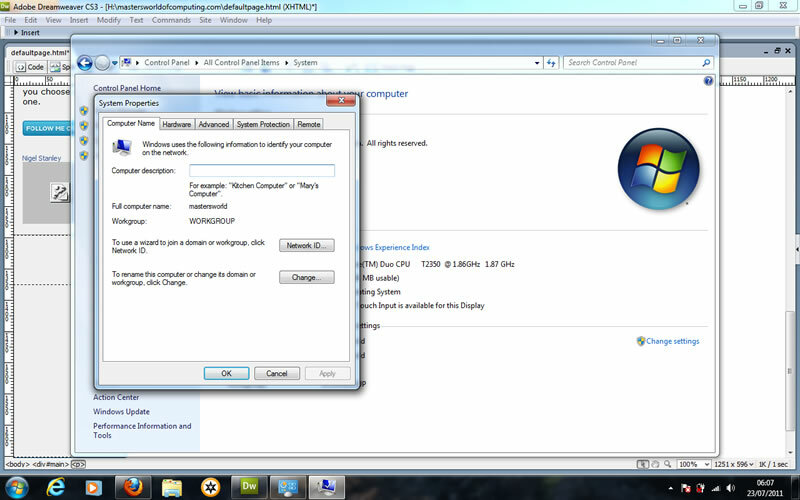 Close any other windows that are open and reboot you PC. The next time you logon your computers name will have changed to whatever you called it. For all your windows 7 tutorials go here.